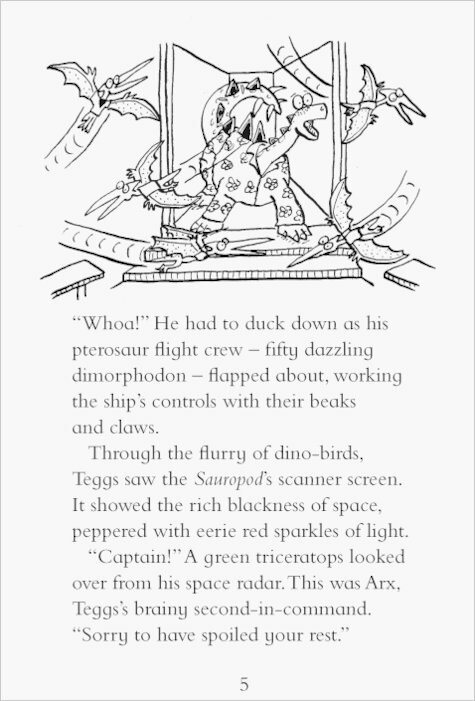 What do you call a space-hopping dinosaur? 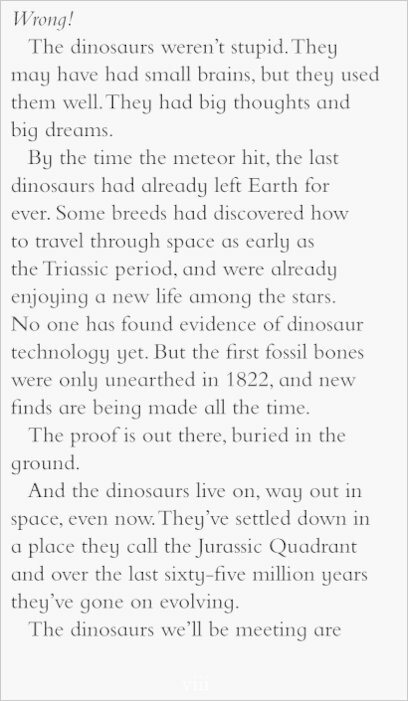 An ASTROSAUR! 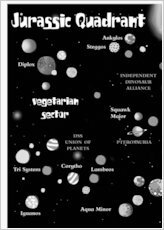 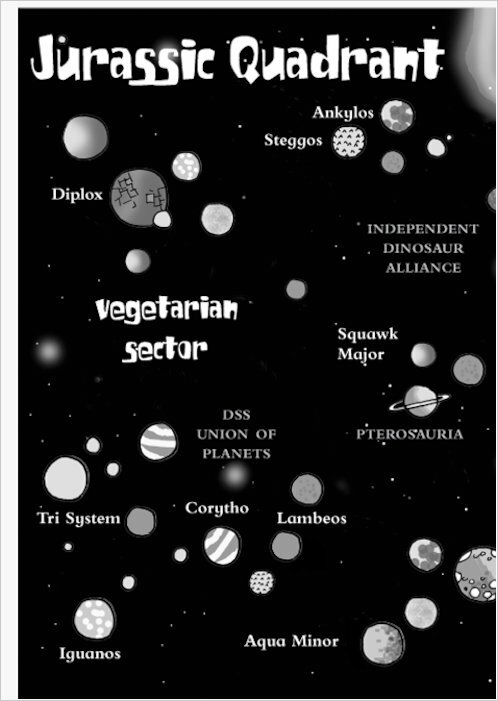 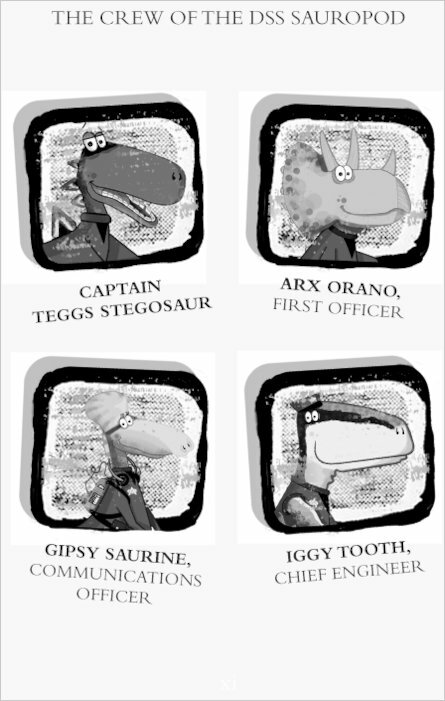 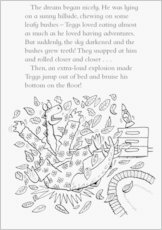 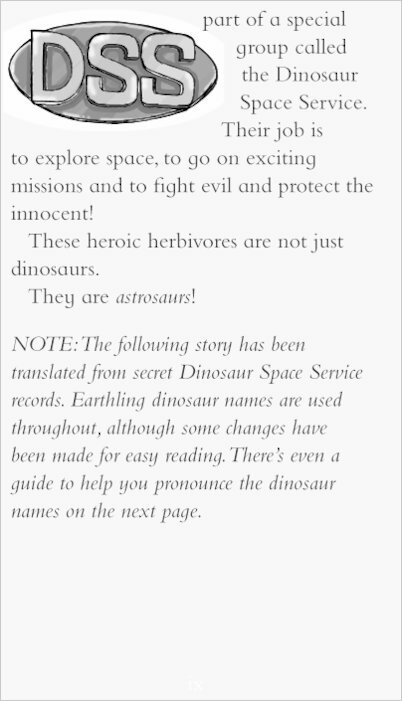 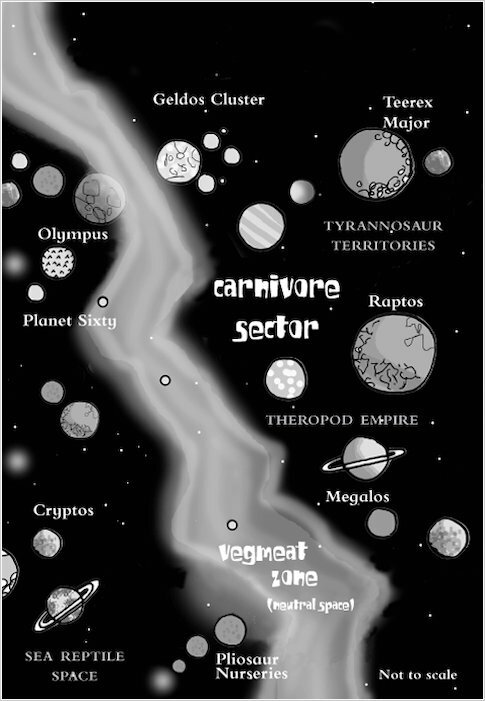 Heroic dinosaur astronauts who right wrongs, fight evil – and eat a lot of grass! 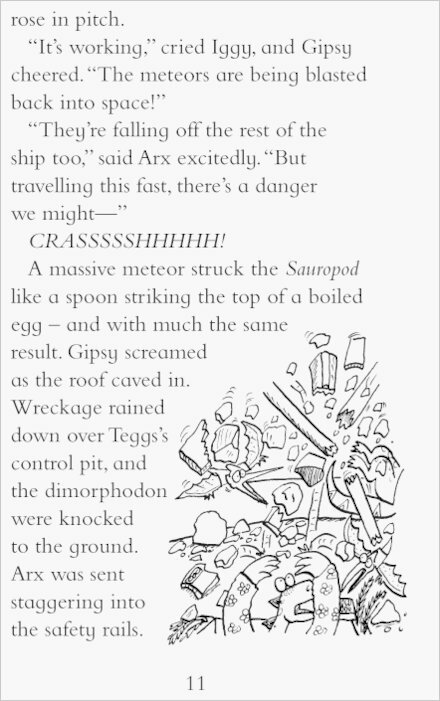 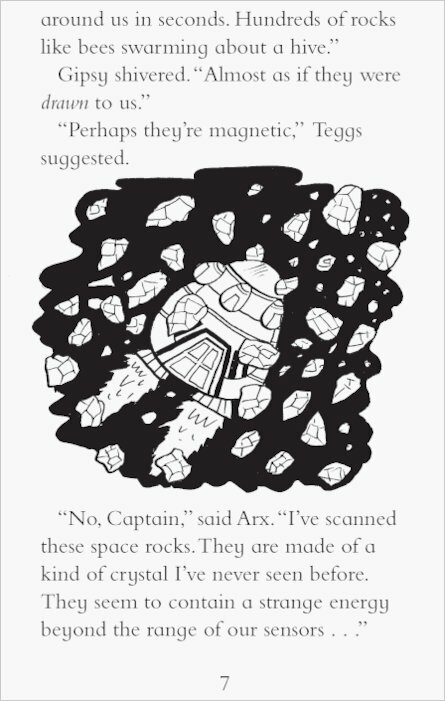 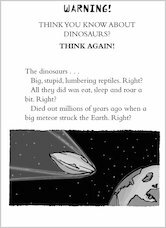 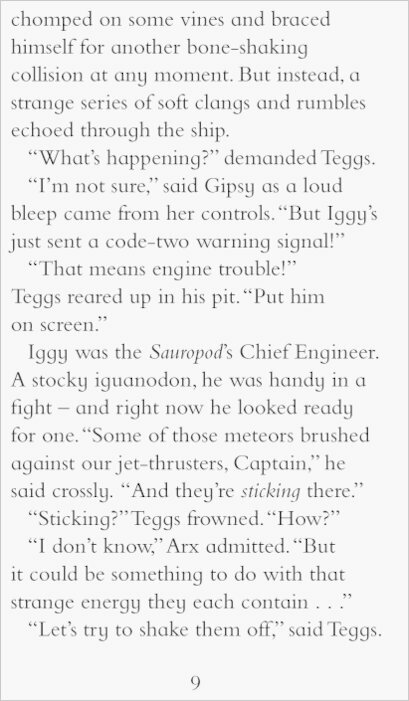 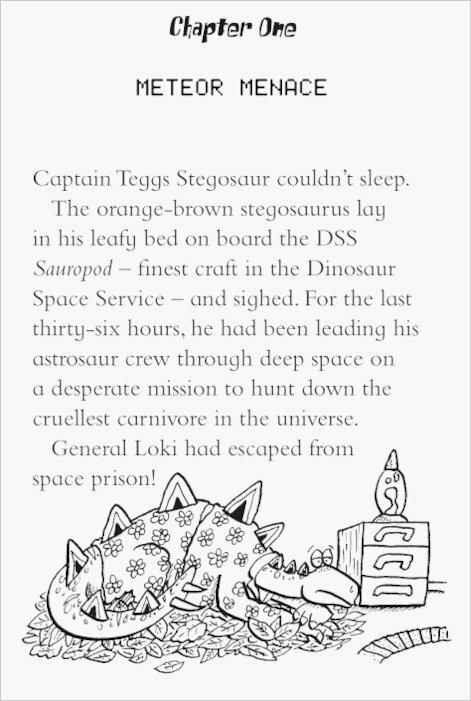 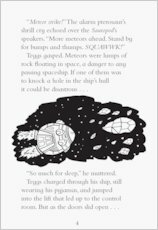 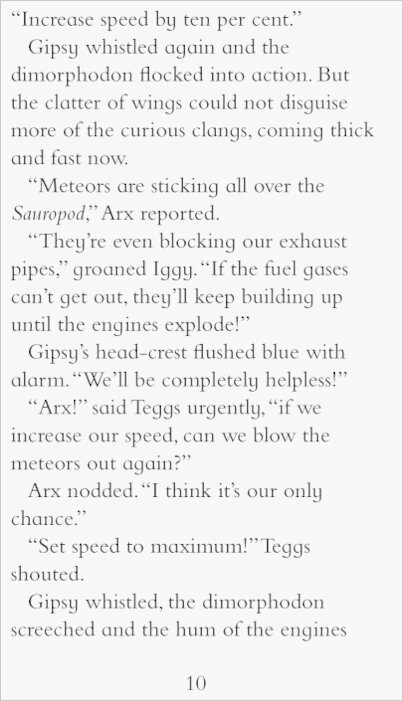 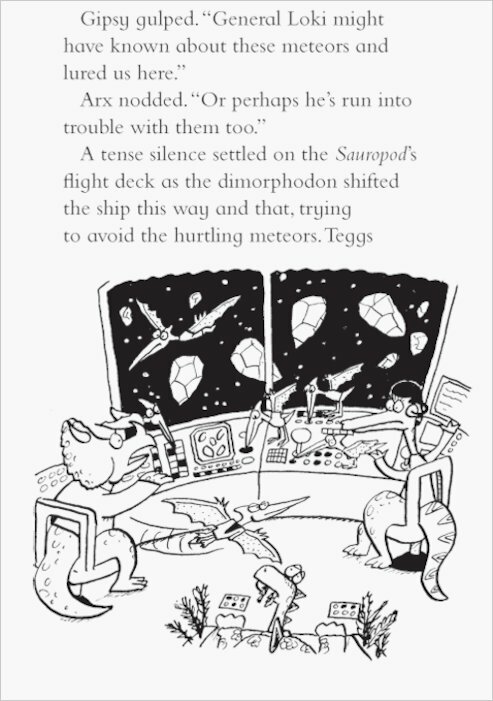 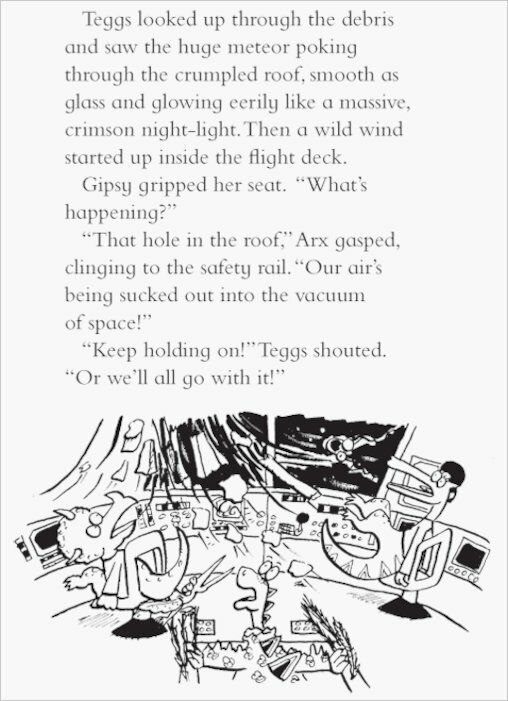 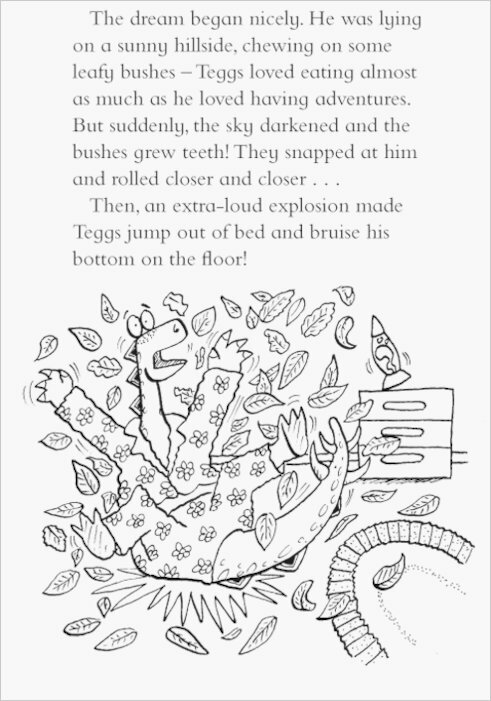 But the heroic crew of the spaceship Sauropod face a dangerous challenge when their bad dreams start to come to life. 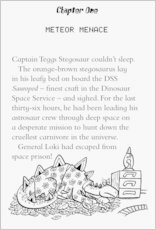 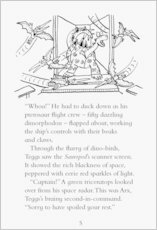 First Captain Teggs has a nightmare about sabre-toothed bananas. 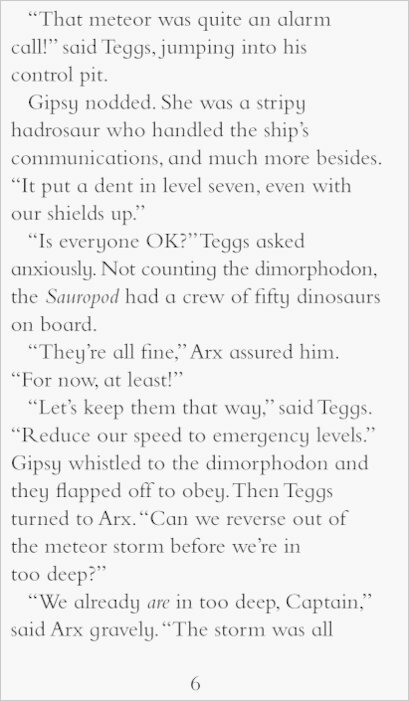 Then he’s actually attacked by them in the middle of a mission! 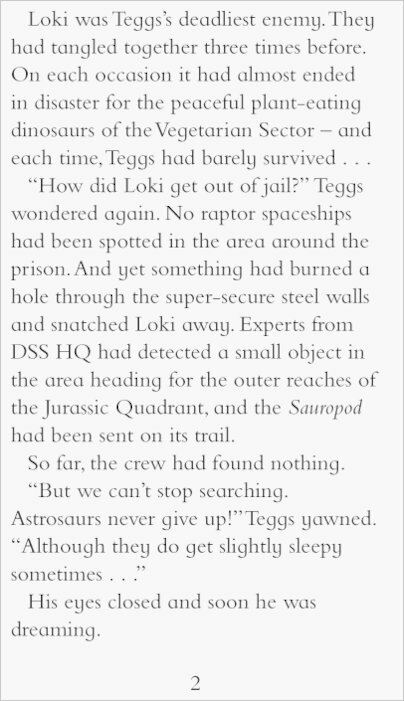 And when the other Astrosaurs’ bad dreams start popping into reality, everything starts to turn very scary. 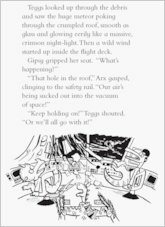 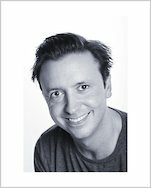 Can the ‘saurs work out what’s happening – before life becomes a nightmare from which they never wake up? 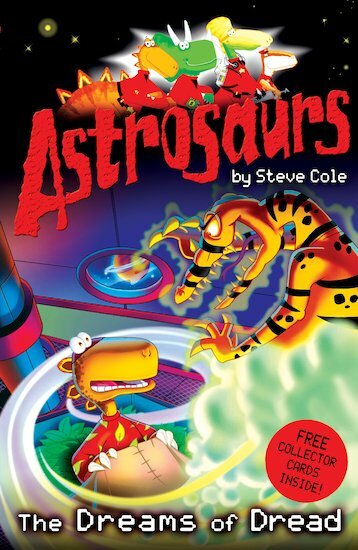 I asked a younger boy in my school what books he likes.I wanted to get a suprise for my little brother.He said he loves Astrosaurs,so I found one of them and got them for my brother.He loved them,truly!He even let me read it! 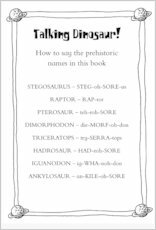 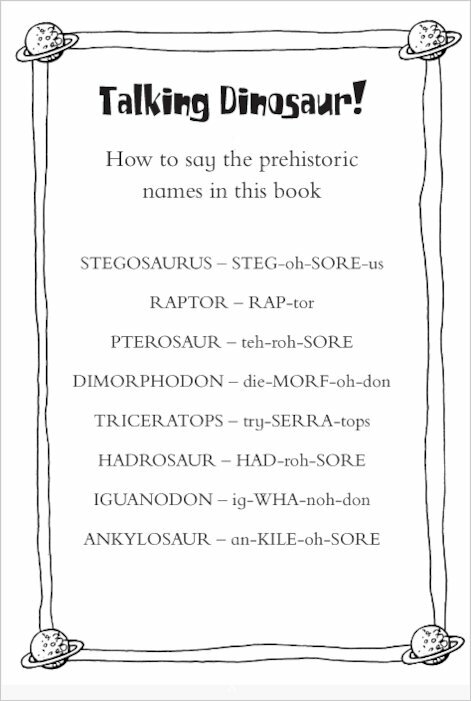 An amazing book for a little boy who loves dinosaurs.